How Does Cannabis Help With Pain? Cannabis Has Been Used To Help Combat Pain For Hundreds Of Years, But How Does It Work? Cannabis has been linked to a variety of healing capabilities, not the least of which is chronic pain relief. 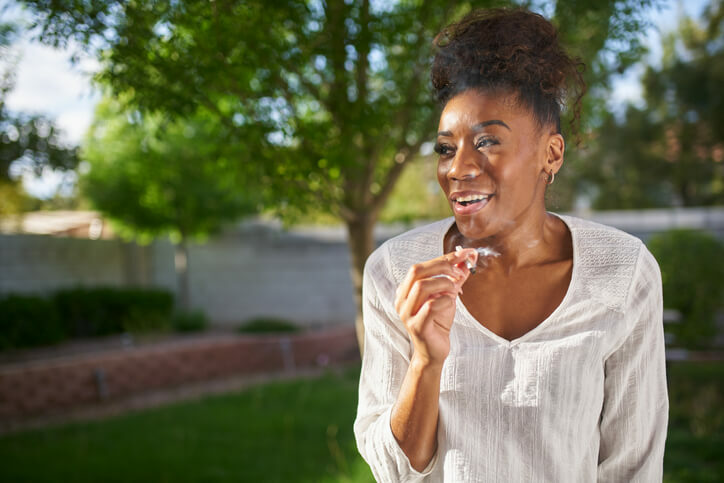 Even if you’re a purely recreational user, it’s not hard to imagine why those who suffer from chronic pain would turn to marijuana to improve their day-to-day well-being. Many people are leaving behind their pharmaceutical dependencies and reaching for therapeutic reefer instead because of its milder side effects and lower risk of addiction. A 2015 study in at the Sheba Medical center, a hospital affiliated with Tel Aviv University, surveyed 69 cancer patients who had obtained a permit for cannabis from an authorized institutional oncologist and were using cannabis to relieve chronic pain. The survey reported that 70%, 70%, 60%, and 50% of patients experienced improvement in pain, general well-being, appetite, and nausea while using cannabis. The researchers in the Sheba Oncology department are certainly not the first to discover marijuana’s pain-killing qualities. 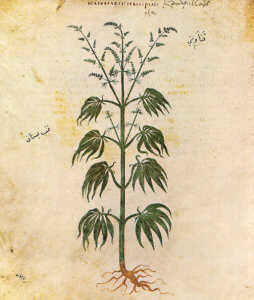 In fact, medicinal marijuana was used throughout ancient civilizations. The Ancient Egyptians reference marijuana frequently in their texts and used the plant to treat sore eyes around 2000 BCE. In 200 BCE, the Greeks were using it to treat earaches. Han Dynasty-era (circa 2nd or 3rd century) physician and surgeon named Hua Tuo used a hemp-based anesthetic called mafeisan to help his patients endure surgical procedures. Even with so much history backing up the therapeutic capabilities of marijuana, scientists, researchers, medical professionals, and policy-makers are still struggling to concretely understand and support the relieving effects of the drug. Most marijuana-based products still have not received approval from the United States Food and Drug Administration (FDA) and just over thirty countries have legalized the plant for medicinal purposes. Despite a widespread base of resistance, the cannabis industry has grown exponentially in the last decade and researchers are conducting more studies than ever to uncover the mysteries of cannabis’s pain-relieving properties. Like with any medical product, professionals have to conduct thorough and ample research proving the safety and effectiveness of the drug to persuade legislators and the FDA. But with the country’s long history of anti-cannabis rhetoric, US legalization has been an uphill climb even at the medicinal level. Researchers have found through this extensive research is a strong link between cannabis and pain relief due to the way THC and CBD react with the endocannabinoid system (ECS). As a biological system composed of cannabinoid receptors dispersed throughout the body and the neurotransmitters that bind to them, your ECS plays a major role in regulating many physiological and cognitive processes, including pain-sensation and mood. 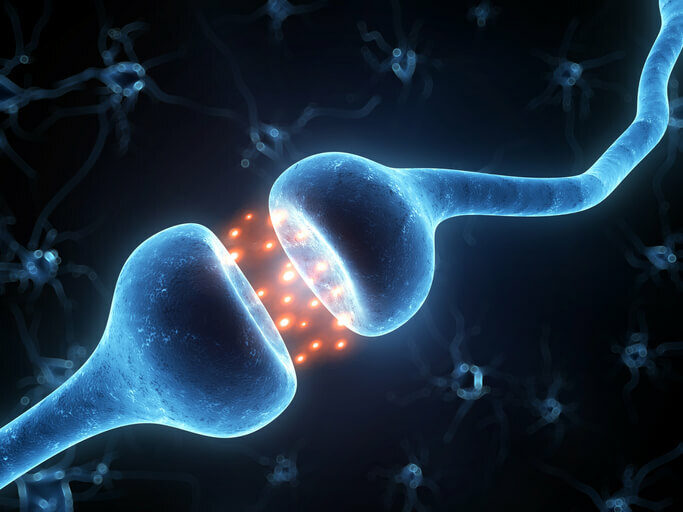 There are two kinds of g-linked cannabinoid receptors in your body, CB1, and CB2, which are expressed mainly in the central nervous system (CNS) and the immune system, respectively. Your body produces a variety of endocannabinoids naturally to bind to these receptors, but THC, the primary psychoactive cannabinoid in cannabis, can also activate the CB1 and CB2 receptors when introduced to the body. When it comes to psychoactive and pain-relieving effects, CB1 receptors are where the action is. When THC binds to CB1 receptors, it inhibits your body’s natural cannabinoids from keeping your ECS firing on all cylinders. So when your ECS becomes saturated with THC, your neurons’ ability to communicate with each other is altered, changing the way you experience both internal and external events. Amygdala—an almond-shaped patch of neurons in the subcortex linked to both fear responses and pleasure. Spinal Chord—a structure integral to processing pain in which THC directly activates local CB1 receptors to suppress pain, especially at sites of injury. Nucleus Accumbens—structure largely responsible for your body’s reward system that sends a higher level of reward impulses when THC is present. Naturally, when THC binds to CB1 receptors in those regions, they will affect the processes that typically occur in those parts of your brain. This is why you can attribute THC to feelings of pleasure, suppressed pain, and changes in anxiety levels. What Strains Are Best For Pain Relief? Different strains of cannabis will address different types and levels of pain. Most of the strains that are the most effective in combatting physical chronic pain are those that not only have high levels of THC but also CBD, a non-psychoactive cannabinoid that works pain-relieving magic through anti-inflammatory properties. Blue Dream—Though it’s known more commonly for suppressing anxiety and stimulating creativity, this sativa-dominant hybrid treats pain and nausea without much sedation. Sour Diesel—This potent sativa is best for experienced smokers looking for a euphoric distraction from their aches and pains. ACDC—This 50-50 hybrid contains high amounts of THC and CBD and is one of the most popular strains for those with more severe conditions like epilepsy, cancer, alcoholism, seizures, and extreme chronic pain. Harlequin—The ratio of this sativa’s CBD to THC is 5:2, so it relieves pain associated with joint stiffness and inflammation while keeping your head clear. Blue Widow—This indica-leaning hybrid is relatively low in THC and very low in CBD concentration, allowing you to relieve tension and still go on with your day. It’s great for curing headaches, cramps, muscle pulls, and nausea and is common in treating chemotherapy patients. Purple Arrow—If you’re looking to get some rest but are being hindered by a gnarly headache or migraine, this strain is your solution. It’s heavily sedative, helping you sleep or just mellow out and relax, and CBD-rich. Dynamite—This indica is both sedative and mood-elevating, making it a great daytime remedy for pain, nausea, and cramps. *Please note that this article is purely informational, and not medical advice. Always consult your doctor before changing your health routine and medicating with cannabis. 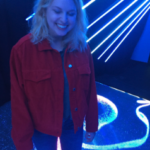 Sam is a freelance writer and JD candidate pursuing a career in Environmental Law and Policy. She enjoys writing about sustainability, agriculture, nature, wellness, and health.